Leap into my shop for a Leap Day Sale! | Primary Planet! Leap into my shop for a Leap Day Sale! Thanks to Ideas by Jivey for the adorable button! Hurrah! EVERYTHING in my store is 20% off today and tomorrow for Leap Day! Leave a Comment Leap Day! 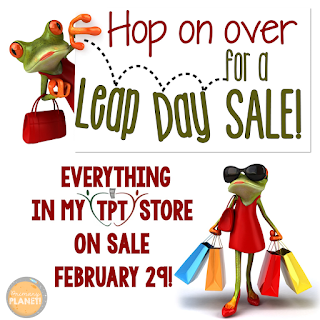 Leap Day sale!